*PRICED BELOW APPRAISAL* Former model in the sought after Sierra Verde subdivision! Large 5 br, 3 bath, 4 car garage (epoxy floor) home with a salt water pool with water features, built in BBQ, gas firepit, misting system, central vac, TWO fireplaces, media room. Granite countertops in kitchen and all bathrooms. Master has giant walk in closet and balcony. One bedroom downstairs is converted to an office with built ins. Surround Sound throughout the house. The wine fridge in the wet bar stays with the home. 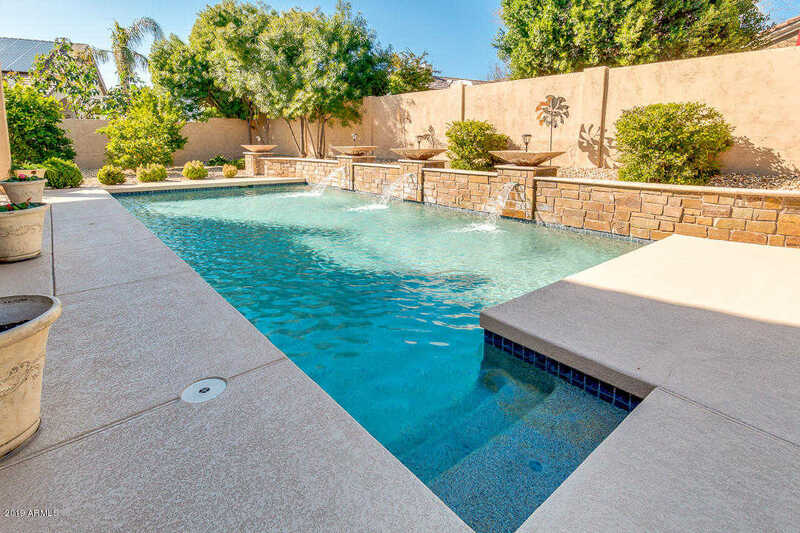 This home has it all ~ in a great school district and close to fabulous restaurants, shopping, the 101 and Peoria Sports Complex for Spring Training, Honeywell and Midwestern University!Seller requests ONLY pre-qualified buyers get showings. Directions: From Deer Valley go south on 71st ave, left on Firebird, home is on the north side of the road. Partial bathroom update in 2014. Approximate size: 11822.00 sq. ft. This content last updated on April 23, 2019 08:48. Some properties which appear for sale on this web site may subsequently have sold or may no longer be available.